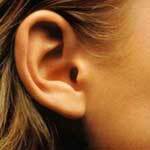 Otoplasty surgeons are those who specialize in or are able to perform surgical manipulation of the ear. This is sometimes done to correct a congenital defect or in response to a situation caused by some medical conditions. Whether you are hunting someone to perform incisionless ototplasty on a child, or looking to correct the shape of the head with cosmetic ear surgery, you are sure to be able to find the doctor that is right for you. Remember that you can check with your health care provider for a referral to the best otoplasty surgeon in your area. In the cases of corrections for medical issues, they will often have great suggestions for practicioners of everything from simple ear pinning surgery to full ear reconstruction. Remember that If your procedure is for medical purposes, you may be limited to certain local doctors that are in network for your health insurance company and plan. If you’re seeking cosmetic options, then check out our top 10 picks for otoplasty surgeons in different regions of the United States. This list is compiled from patient reviews and ratings. When researching otoplasty surgeons, look to past patient reviews and tips and suggestions, but remember that ultimately when it comes to health care providers, a face to face consultation cannot be undervalued. Even if you have to pay for a consultation with the otoplasty surgeons you are considering, that initial investment can help you decide if you are making the right decision for you, and when it comes to your healthcare, it’s a small price to pay. You will use what you learn during your initial consultation to get a feel for your comfort level with the doctor including their responsiveness to your concerns and questions, and their experience level with the particular procedure that you are considering.